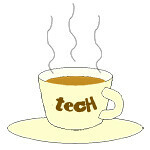 StarHub « Tech bytes for tea? All three local telcos will sell the new NFC transit SIM cards. Supported handsets can be used to pay for MRT, LRT and bus rides; as well as at retail transactions. EZ-Link introduces NFC transit SIM for contactless payments. The NFC transit SIM is a next generation, full-service NFC (near field communication) SIM which can be used for public transport, as well as at more than 30,000 ez-link acceptance points islandwide including shopping, retail, food & beverage and taxis payments. “Transit is the ‘killer phone app’ Singapore consumers have been looking forward to, and we are pleased to be the first to offer customers the convenience of making payment with the one device that is always with them, their phone,” said P. Subramaniam, Chief Marketing Officer, M1. Jointly developed by the Land Transport Authority (LTA), the Infocomm Development Authority (IDA) and EZ-Link, the NFC transit SIM will enable commuters to pay for public transit rides using just their NFC mobile phones. M1 customers will be the first to enjoy contactless transit payments with their NFC transit SIM cards available at M1 Shops from today. The NFC transit SIM card will cost S$37.45 (including GST). As a launch promotion, the service activation fee of S$9.10 (including GST) will also be waived for customers signing up from tomorrow until 30 April 2016, while NFC transit SIM card stocks last. Customers who sign up for or renew their StarHub 4G plans, can enjoy the new 3GB data upsize at promotional monthly rate of only $3. Usual monthly rate of $6 will apply for customers who sign up from 1 April. * Singtel fired the first shot in the data-upsize price war, followed by M1. StarHub joins the data price war between the telcos. Click to enlarge. The table above is a summary of the various StarHub’s plan and how they can be enhanced by the 3GB-for-$3 promotion. Unlike M1, MyRepublic and Singtel, StarHub is not participating in IT Show 2016. It is instead having a parallel online promotion from 10 – 18 March at www.starhub.com/big-sale. 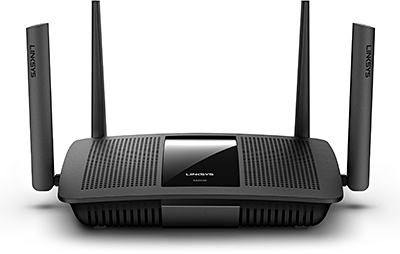 Consumers can look for deals such as S$200 phone discounts with free delivery and free six-month subscription to multi-service HomeHub Go and selected broadband plans. Customers who prefer physical stores, can visit any of StarHub’s 48 retail outlets across the island. With the new offer, subscribers of StarHub’s “4G 3” plan can enjoy 6GB data bundle at a slightly increased monthly subscription rate of S$45.90. Previously, a “4G 6” subscription plan would have set consumers back S$102.90 every month, although the plan does offer more local talktime and SMS. StarHub will reach out to customers who signed up for one of these StarHub 4G plans on 10 March and offer them this data upsize option. From tomorrow, customers can sign up for this offer at any of the 48 StarHub retail outlets across the island. The promotional flyers for StarHub’s online sale are attached below. StarHub Online Store exclusive: Sign up for any StarHub service online and stand a chance to win one of ten 55” Samsung Curved Televisions worth $3,199 each. Singapore officially welcomed the Xbox One today at 1300hrs. Xbox One fans got to pit themselves against each other on board the Singapore Flyer, against the Skyline. Singapore F1 GP may be over but #Xbox One fans are still racing the McLaren on #Forza5 in the Singapore Flyer. #XboxOneSG. Photo taken using Samsung Galaxy S5 and posted on Instagram. Microsoft Xbox One Launch at Funan DigitaLife Mall. Photo: Microsoft Singapore. The event kicked off with pre-order collection amongst the mass of over 500 fans as they turned Funan DigitaLife Mall into a sea of green. “The feedback from our fans in Singapore has been overwhelming. We are on track to making this the biggest ever Xbox launch in history in Singapore. Today marks a historic day for us and our fans,” said Hanson Yap, Marketing Manager, Interactive Entertainment Business, and Microsoft, Singapore. The console launch continues into the evening as invited fans battle it out in the sky onboard the Singapore Flyer. 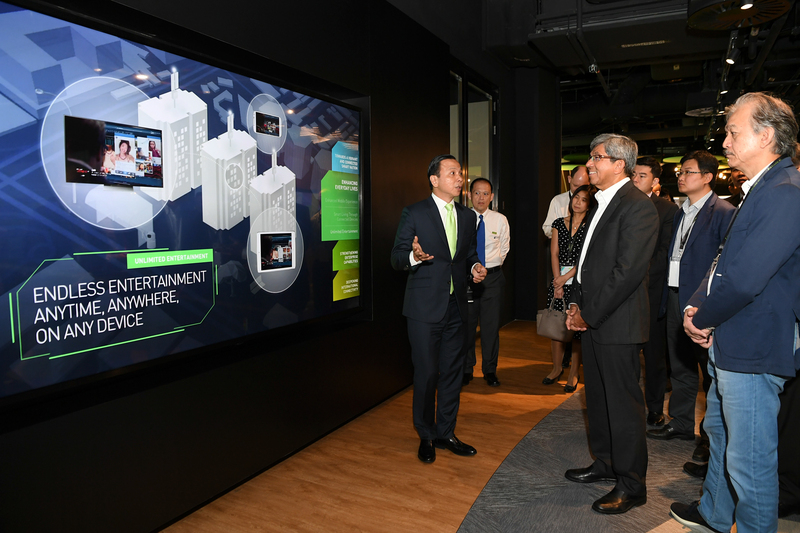 The iconic landmark will light up Singapore’s skyline with the Xbox’s signature green – telling Singaporeans that the new entertainment console has landed. This holiday, gamers will be able to create Car Clubs of up to 1,000 members and race through a wide-open world featuring the stunning landscapes of Southern Europe in “Forza Horizon 2”. One year to the day from the launch of the iPhone 5s and iPhone 5c, Apple has unveiled the 4.7-inch iPhone 6 and 5.5-inch iPhone 6 Plus, running iOS 8. Prices range from S$998 to S$1,448. The 4.7” iPhone 6 with 1334 x 750 pixels alongside the larger 5.5” iPhone 6 Plus with 1920 x 1080 pixels. The two new iPhones come in thin unibody enclosure of anodised aluminium and feature Retina HD displays, A8 chip, improved cameras and Apple pay. iPhone 6 comes in gold, silver or space grey; while the iPhone 6 Plus comes in gold, silver or space grey. Both run on iOS 8 – a simpler, faster and more intuitive user experience with new Messages and Photos features, QuickType keyboard, a new Health app, Family Sharing and iCloud Drive. The 4.7” iPhone 6 has 1334 x 750 pixels which translates to 38 percent more viewing area than the iPhone 5s. The larger 5.5” iPhone 6 Plus has a resolution of 1920 x 1080 pixels, which gives 88 percent more viewing area and nearly three times the pixels in the iPhone 5s. For the first time, 128GB versions will be available., for both models. Prices below. StarHub has also partnered with Indosat to promote innovative projects from Indonesia’s entrepreneurship community. StarHub touts Crowdtivate as the world’s only telco-backed, rewards-based crowdfunding platform. Crowdtivate was beta-launched back in April 2013. Crowdtivate is now open to the public, with 12 Asia-based projects ranging from creative works and digital technology to assistive technology. These will seek funding support worldwide in order to bring their entrepreneurial vision to life.